As the transit of the sun by the planet Mercury on May 9 draws closer, one may wonder the lore associated with Mercury and how it relates to other religions such as Christianity. 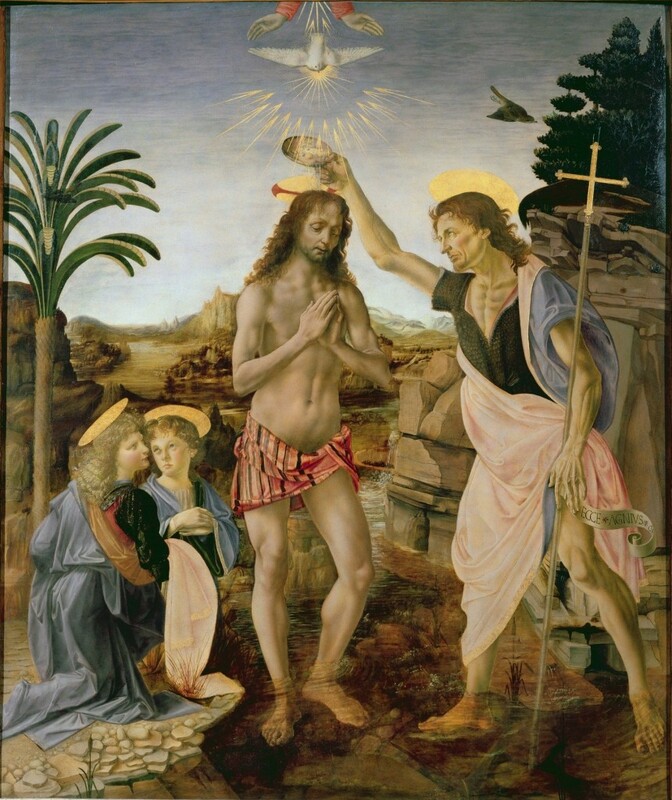 The cosmocrator, Mercury, does relate to one particular figure–John the Baptist. John the Baptist is a peculiar, eponymous hero that appears many times not only in Christianity and the Gospels, but also in Gnostic, Mandean, Freemasonic and last but not least, connected to Egyptian sources. In the Gospel of John, he is depicted as a witness, a herald, a dedicated servant or a “Prophet-King” for the Light of the Logos, personified as Jesus Christ. 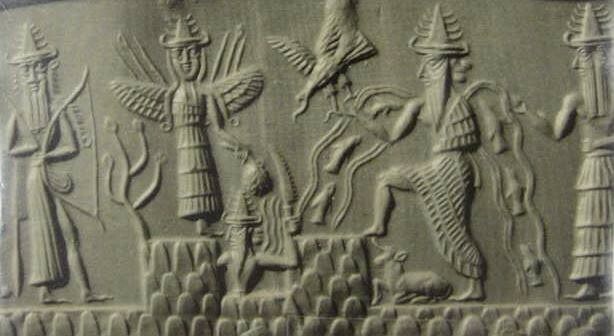 Unas is conceived at night, Unas is born at night, for he belongs to the Followers of Re who are before the Morning Star. 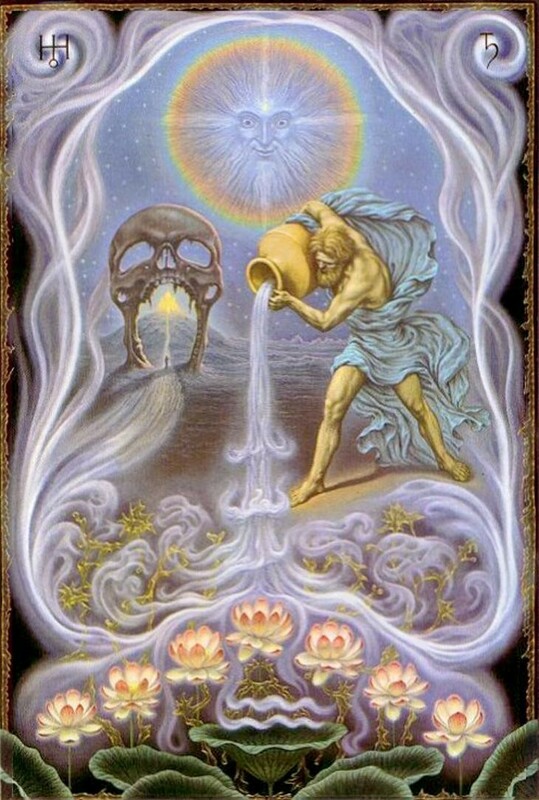 Unas is conceived in the Watery Abyss, he is being born in the Watery abyss. He has come, he has brought your bread which he has found there! Jesus therefore said to them, “Truly, truly I say to you, the bread out of heaven is not given you by Moses; no, the real bread out of heaven my Father is giving you. For the bread of God, is the one coming down out of heaven and giving life to the world. Anubis is also the messenger of the gods, equivalent to the Greek god Hermes or Mercury, the counterpart of the Egyptian lunar god Thoth or Djehuty/Tehuti. Moreover, like Thoth, whose emblem is the Tau or T, Anubis is “never without a cross,” specifically the life-giving ankh, one of the holiest symbols in Egyptian religion. As related by the ancient writer Iamblichus (c. 245-c. 325 AD/CE), “The cross with a handle which Tot [Thoth] holds in his hand was none other than the monogram to his name. The connection between the ankh and the cross of Jesus is made more apparent when in Matthew 10:37, Jesus tells his disciples, “And he who does not take his cross and follow Me is not worthy of Me.” Luke and Mark have similar variations of this passage. St. Paul is also said to be “crucified with Christ” often in his crucifixion mysticism. The Egyptian cross could be what Jesus is referring to in his commandments above. The ankh was a sign of royalty and life, whereas the cross of Christ was a symbol of debasement and sacrifice (but transformed into the means for “eternal life”). Elsewhere in the Clementines, John is paired opposite Jesus in a series of “syzygiai” or pairs, in league with such characters as Cain, Esau, Aaron, Simon Magus and the Antichrist (Hom. 11, 17; cf. Recog. III, 61). The old Egyptologist, E.A. Wallis Budge, suggests that Horus is the embodiment of “He who is above” and Set of “He who is below,” (in their eternal struggle) thus holding a significance to “As Above, So Below” much like how John’s arms are depicted (pointing up and down) in Leonardo da Vinci paintings, as well as Baphomet. In Hom. III, 22 John is referred to as one “born of a woman” and therefore of the feminine (fallen) order, whereas Jesus, as the Son of Man, is masculine (heavenly)—a familiar Gnostic idea. Both the Homilies and Recognitions connect John with the rise of the Gnostics Dositheus and Simon Magus, as well as being connected to the Jewish sects that opposed the Apostolic church—the Sadducees, Samaritans, Scribes/Pharisees, and the Baptists (the last of which would morph into other cults like the Simonians, Dositheans, Mandeans, etc.) While this might be pure speculation, since some of Simon Magus’ titles include “Standing One” and the “Great Power of God,” we might also find its origins in the Pyramid Texts (Utterance 222, saying 199). Stand up upon this land [which came out of Atum, the spittle] which came out of the Becoming One! May you become over it, may you be high over it, so that your father sees you, so that [Re] sees you! Jesus is called the “Word/Logos of God” or more accurately, the “Reason of God”. The Logos translates to “reason.” The Logoi are also principles of reasons in Platonic material, as a plural of the Logos. The Logoi also refer to the Platonic Forms related to the Gods. Theurgical tokens and symbols as used by Neoplatonists like Iamblichus use as manifestations of these divine powers. These symbols may exist in the forms of a lion, a rooster, or heliotrope, all of which are representations of Helios and Apollon. Iamblichus also interprets Greek and Hermetic gods like Dionysus and Asclepius as manifestations of the sub-lunar Demiurge (the craftsman of the world, below the moon). The initiated theurgist was said to have the Logoi filled in their souls. 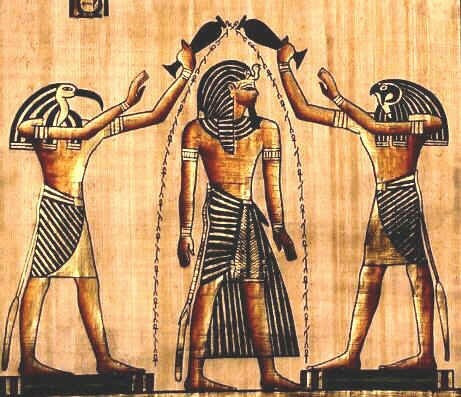 In magical rituals dedicated to Mercury, such as a consecration of a talisman, the Logoi or element of that deity is said to “empower” the object, much like how a Catholic Priest is said to bless “holy water,” the Eucharist, etc., through the laying of hands via Holy Spirit power. One may think of the Logoi as “daimons” who draw the Hermetic god’s power to the magician. Alex Rivera is the co-author of Baphomet: The Temple Mystery Unveiled and the owner of the blog “The Aeon Eye,” dedicated to his research and idea s regarding scholarship in theology, various ancient texts spanning different cultures of all ages, comparative mythology, philosophical exegesis, Gnostic texts, apocrypha, patristics, and the Bible. When he isn’t throwing Orthodox trees in Gnostic ovens, he is working on various side projects, working on his fiction, and set to graduate with his Master in Public Administration. He currently resides in the sunny wastelands of Orlando, Florida. This is an incredibly interesting detail, and I think the Syrians and the Ebionites are the missing factor here – clearly the Gospel of John depicts a cooling of tensions between their sect and the Samarians; yet, at (perhaps) the same time, The Syrian Gospel of Thomas points to the Ebionite figurehead James as the one to follow after Jesus leaves. The way I see it, Acts 8 captures this fight between the Johannines, Marcionites, Syrians, and Ebionites, and I think it’s again captured in Galatians 1 and 2, along with the Secret Book of James. The interesting outcome was that the orthodoxy ended up rejecting the Mariconites and the Ebionites, but kept (without any apologies) the Johannines and the Syrians. I think you’re onto something. Some scholars seem to think that the Gospel of John is actually a reaction to the Mandean cult because of their esteem of John. But, others think their appropriation of John the Baptist is a late phenomenon around when Islam was just starting. There’s a lot of Alexandrian Hellenized Judaism in John, Platonism, and Egyptian/Hermetic influence going on in that text. It’s pretty obvious why it became so popular amongst Gnostic and and late derivative circles like the Cathars who rejected the other three gospels in favor for John. Saturninus was a Syrian Gnostic and a Simonian, btw. Marcion was also said to have been involved in the publication of the Gospel of John, too. Who knows how Marcion would have retrofitted the Gospel of John if he had taken the task upon himself, since he was said to have cut parts of Luke and was a radical Paulinist, of course. In the end, Orthodoxy did end up appropriating the Simonian/Johannite practice of “chirothesy” of bishop ordination, among other practices, despite its demonization of Simon. John the Baptist is indeed a complex character…I honestly don’t know what to make of him, but I think there *must* be some relationship between he and the Sethians, because of the robust baptismal ritual. My assumption is that Marcion was a student of Cerinthus, who brought the Gospel of John and Revelations to the Johannines; we get a depiction of that fight in Irenaeus’ “Against Heresies”, where he describes a story where the apostle John encounters Cerinthus in a bathhouse…it was rumored that Cerinthus wrote a good chunk of the Johannine texts, and I it was that northward movement from Alexandria to Western and Northern Turkey that brought the Demiurge, along with various other Gnostic themes. Yes, I think John the Baptist, or at least the Johannite tradition is connected with Christianized Sethianism. After all, the Apocryphon of John is named after John, of course (although John the apostle or the Evangelist and not “the Baptist.”) Since you brought up Cerinthus, I personally suspect him to be connected to the Ebionites; he even may be the identity behind Ebion, since their beliefs are so similar. He’s also rumored to be connected to Revelation of St. John as well. I’m not sure about the connection between Marcion and Revelation, but it seems to me Revelation is very condemning of Paul and is more Jewish-Christian in nature (with tons of allusions to Greek and Roman myths). For those of us who’ve actually read her book “Christ in Egypt” we know that repeated claim of her relying of 18th-19th century works is utterly false. She provides primary sources and old and modern scholar commentary on them to compare them. She deserves a lot more respect than she gets. Really tired of these lies. If you noticed, my assessment of Murdock’s work in the article wasn’t at all negative. I think she has some valuable insights. I’ve also been reading up on Gerald Massey and he has a lot of good stuff as well. You focus on one little sentence and immediately assume I am out to defame her. But it’s her work that I am quoting from, if you actually read the entirety of the article. Nice try. Oh, you were reacting to the “tenuous” comment. Well, I did follow up on that with my own research by saying that John the Baptist is closer to the “wisdom god” archetype of Anubis, Hermes/Thoth, Enki, Oannes, etc, than he is an actual person. I also think there’s reasons to believe that John the Baptist in Josephus’ “Jewish Antiquities” is a Christian interpolation and Murdock is right about that. Of course Johnny is a fabrication and a Judaization of the generic guru archetype which already appears, as Hermes, in the fourth tractate of the Corpus Hermeticum. To sell the sacraments to the Jews, it was necessary to feign that the sacraments had been instututed by historical person whose arrival was predicted by the Law and the prophets: Eliah, a prophet like Moses, or the messiah of Daniel. The gospels with their protagonists Jesus and John were forged for that purpose. John was depicted like Eliah who annointed the royal Elishea. The baptism was the conversion to the god above god, away from idols and the creator. Only later corruption turned it into the remission of sin (in Mk and Lk) against the law of the Jewish god.